As a serious spear fisherman, you know that a good set of fins are going to make a world of difference in your trip. Yet, trying to decide which pair of fins will work for you is a little challenging because there are just so many options available, how do you know which to choose? 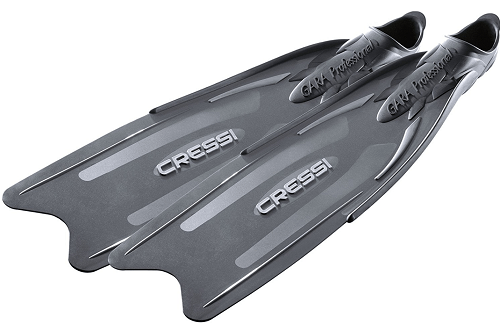 Today, we are going to review one of the best-selling fins, the Cressi Gara Long Blade Fins. In our review, you will learn more about the features of these fins and what sets them apart from the competition. Along with our review, we are going to give you a brief look at what people have to say about the fins. At the end, we will give you our ultimate recommendation. Cressi is an Italian brand which has been making quality diving gear for over 70 years. 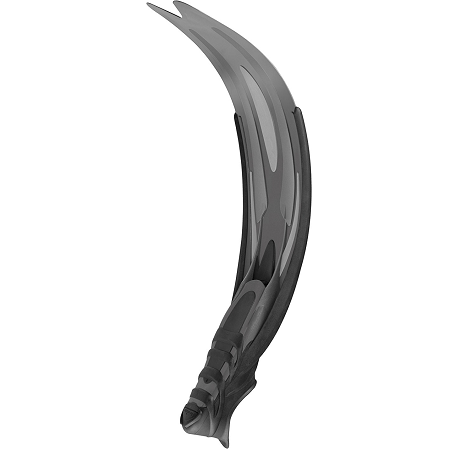 The Cressi Gara Long Blade Fins are an example of the company’s commitment to quality. These fins are designed much like the famed Gara 3000 fins, but what makes them better than the original is the material that the fins are constructed from. When wearing these fins, divers can wear them for longer periods of time because the fins don’t require so much muscle strength to kick. This means divers are less likely to experience muscle fatigue. Also, since these blades are made from a special material, they are suitable for use in cold water without worrying about the blades becoming less flexible. 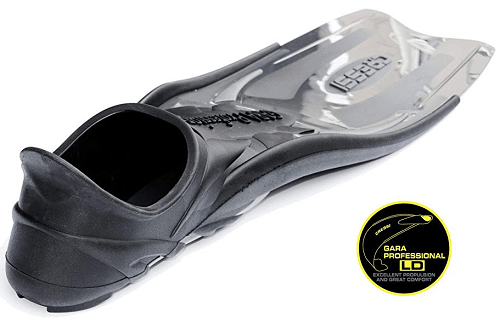 These fins offer experienced divers a unique experience, thanks to the lightweight and flexible design and the foot pocket that is made from an elastomer thermo-rubber. Also, these fins are longer than many fins, thus giving you better forward propulsion in comparison to regular, shorter scuba fins. We do want to mention that since these are soft fins, they won’t grant you much speed, and if that is important to you, we recommend choosing a stiffer fin. 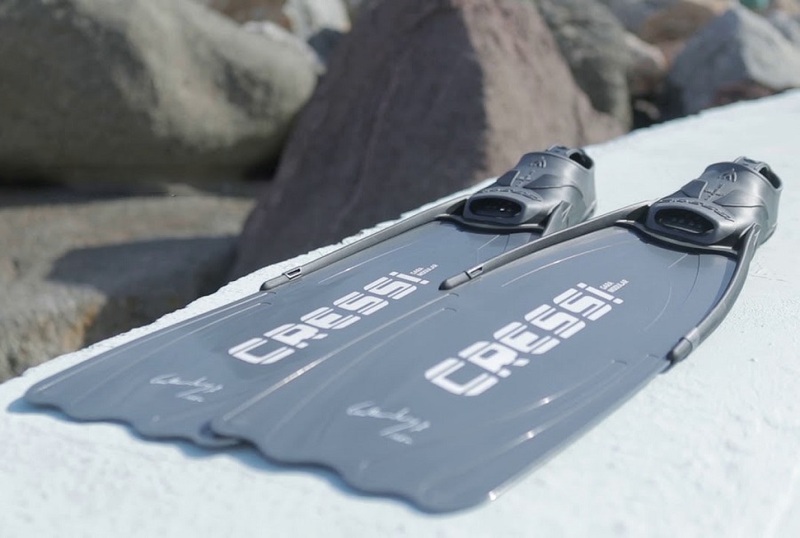 When look at what people had to say about their experience with the Cressi Gara Long Blade Fins, we’re pleased to report that many users had great things to say. Customers love that these fins are very powerful even though the fin themselves are quite flexible. One person said that with just a few kicks, they were able to go down 30 feet with very little effort. Some people said the pocket for the foot is comfortable and fits nicely. However, one person did point out that the pocket is on the narrow side, and people with wider feet may not find them comfortable. Other customers mentioned that they’ve used these fins for freediving and they’re impressed by how well they work in comparison to regular fins. They go on to say that they never have to worry about cold water stiffening the fins, thanks to the soft elastomer polypropylene material. They go on to say they are much more resilient than previous Cressi fins, as they can hit rocks and not suffer damage. One customer stated they’ve had their fins for six years at the time of the review and they are still going strong. Although many customers had great things to say about these fins, we need to also mention some of the concerns and complaints people had, too. Of these critical reviews, people were most disappointed in that they weren’t as stiff as other blades, which causes them to swim slower. However, they did appreciate that these fins don’t require a lot of force and they’re easier on the ankles. Other reviewers mentioned one of their fins only after using them for a few months. Others went on to say that when they tried the fin on with a 3mm booth, the fin would fit. However, once they got into the water, the fin squeezes their wide feet. Some have said that even when they sized up, the fin would fit the front of their foot well, but it was loose on the heel. These folks did mention when they wore the fins with a thin pair of neoprene socks, the fins fit beautifully. The Cressi Gara Long Blade Fins are reliable blades that are soft, comfortable, and great for spearfishing or freediving. Since these fins are soft, you aren’t going to get much speed when kicking, but you do get a lot of power with minimal effort. 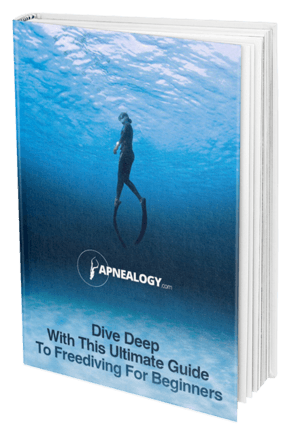 This means that you will be able to dive for longer periods of time because you aren’t exerting a whole lot of energy trying to propel yourself forward through the water. While many customers had great things to say about these fins, the sizing could be an issue for people with wider feet, as the foot pocket is on the narrow side. If you do decide to size up because you absolutely love what you’ve read about these fins, then you’ll want to get a pair of thin neoprene socks to help the fins fit your heel better. So, would we recommend these fins? Of course! They’re lightweight, flexible even in cold water, and they’re not too bad on the wallet either. If you want a great pair of fins that will last for a long time, you can’t go wrong with the Cressi Gara Long Blade Fins.